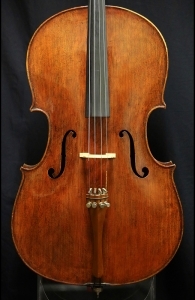 Description: This cello is made by Max Frirsz of New York in 1969. It bears no label but is signed by Max on the inside of the top. 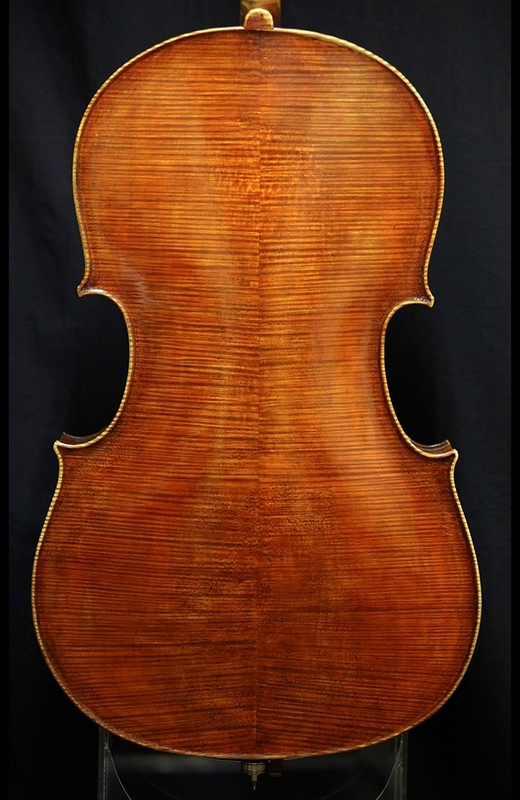 This cello is based on the Montagnana model and has beautifully flamed maple for the back, ribs and scroll. The top has very evenly grained spruce with an antiqued golden-red varnish. This cello produces a warm, powerful tone that is even across all the strings. Back Length: 74.9 cm. 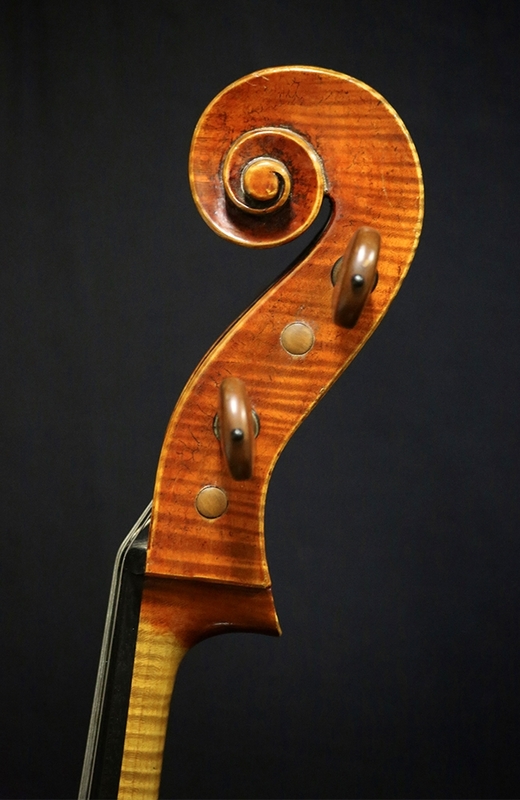 Terms: This cello is available for examination and trial and has been meticulously set up to our exacting specifications before addition to our catalog. 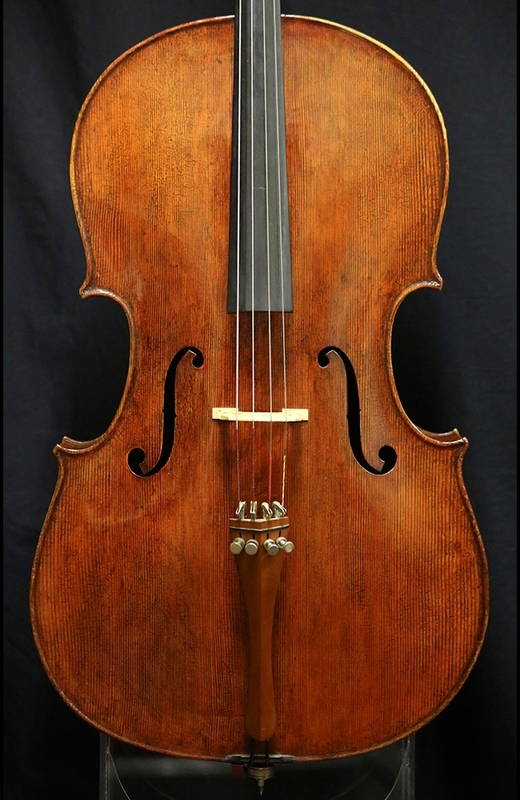 If you wish to inquire further about this cello, please contact us using the green button at the top of this listing or call 1-818-762-1374 during business hours.